Matt Priest is the President of the Footwear Distributors and Retailers of America (FDRA), the largest and most effective footwear association in the United States. In this role, Matt serves as the executive in charge of FDRA’s day-to-day operations ensuring the association meets and exceeds its advocacy and education goals on behalf of the footwear industry. Before joining FDRA in February 2009, Matt served as Senior Advisor to Commerce Secretary Carlos Gutierrez and Deputy Assistant Secretary for Textiles and Apparel at the U.S. Department of Commerce. As deputy assistant secretary, he oversaw programs and strategies to improve the domestic and international competitiveness of the U.S. footwear, fiber, textiles, and apparel industries. Matt was also Chairman of the Committee for the Implementation of Textile Agreements (CITA), which determines when market-disrupting factors exist in the domestic fiber, textiles and apparel marketplace. Previously, Matt served as Senior Advisor to the Assistant Secretary for Import Administration at the Commerce Department, where he advised the assistant secretary on textile and trade issues. Prior to his appointment, Matt was Legislative Director for Representative Sue Myrick of North Carolina, where he was an advisor in the areas of textiles, trade and economic development. 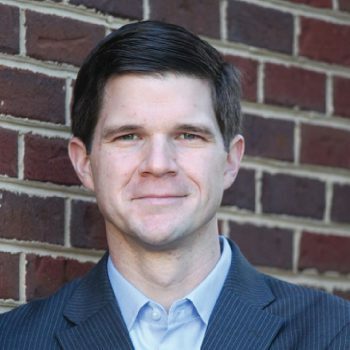 In addition to his role as President of FDRA, Matt is a member of the Industry Advisory Board at the College of Textiles at North Carolina State University in Raleigh. He has also served as an Executive in Residence at the College of Textiles and often guest lectures at the Georgetown University McDonough School of Business. Matt is also an honorary member of the Footwear Youth Leadership Group of the Taiwan Footwear Manufacturers Association. Matt earned his BA in political science from North Carolina State University. He lives with his wife and three daughters in Northern Virginia.